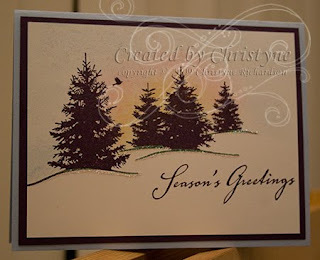 When I was at the studio working with Caroline this past Tuesday, I took a break from my stamping work to do some stamping playing and get a start on my hubby's Christmas cards. I pretty much did the exact same thing LeAnn did on her card: stamped in Elegant Eggplant, sponged in So Saffron, Cameo Coral and Brocade Blue (LeAnn used Bashful Blue, but I didn't have any of that). I added a little bit of glitter to the snow line for a touch of added detail. 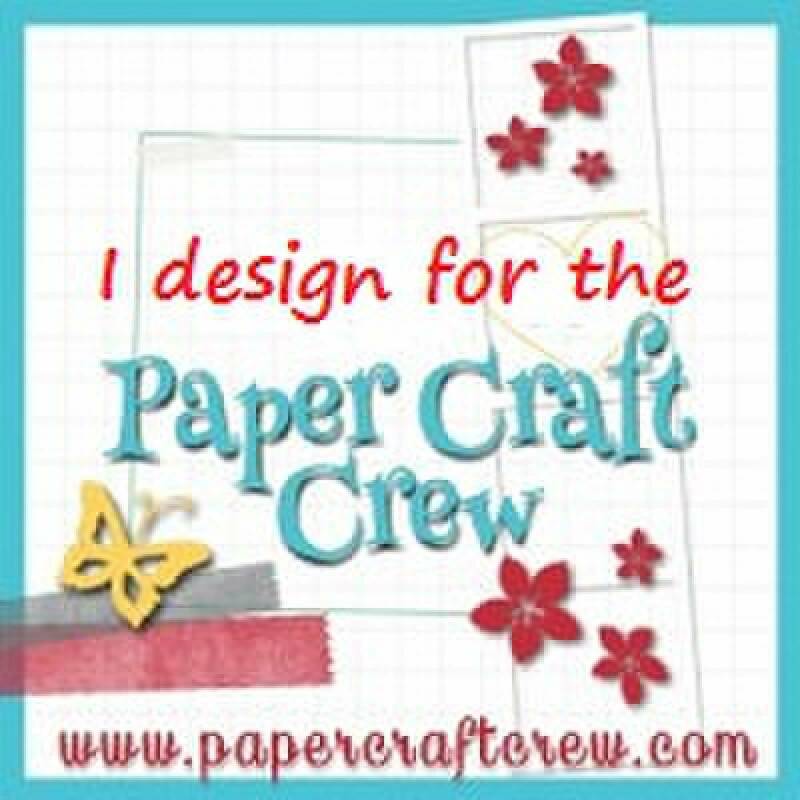 On LeAnn's blog, she mentioned that some of her stampers left off the greeting and turned the card into a card of Sympathy. What a great idea! Oh what a fab card...I wanna do one too!!!!!!!! !...The sympathy angle is a good one too to put in the old memory banks! This is truly stunning! Lovely composition! I love this! So simple and elegant.